I finished my very first quilt and I'm thrilled how it came out! All you quilters out there, don't look too close ~ there are definite mistakes and some not so perfect stitches, but I had fun and I learned what to do and not to do on my next quilt. 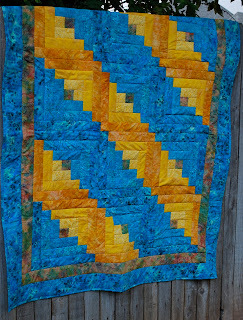 The only part that I didn't really enjoy was the "Stitch in the Ditch" quilting. It was so much turning and it was so tedious! I discovered that one mistake I made was not completely smoothing the top with the batting and backing so I ended up with a few "puckered" stitched areas. I'm also not in love with using the nylon invisible thread, we had a few tangles along the way... Surprisingly, I actually liked putting the binding on! I was afraid of it at first but it was an enjoyable part of the process. 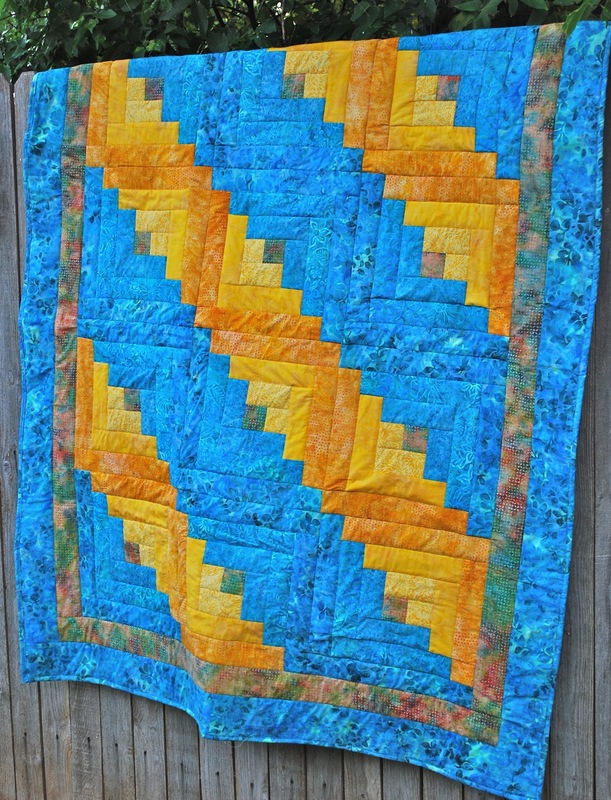 I'm so happy with my quilt! So happy in fact that I went out and picked out fabrics for my next project. This one is going to be a wallhanging - probably for my office. The pinks, blues and greens are my favorites. 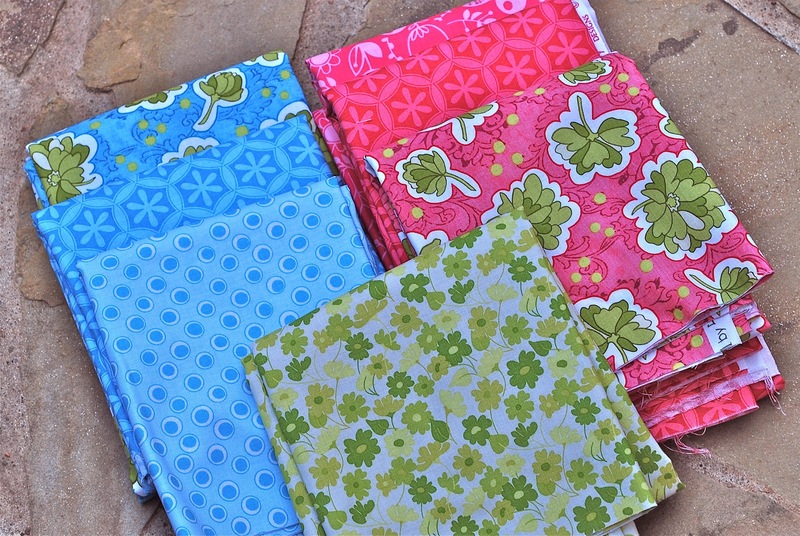 These fabrics are beautiful and I can't wait to get started! I'll keep you posted on my progress. Enjoy the weekend! 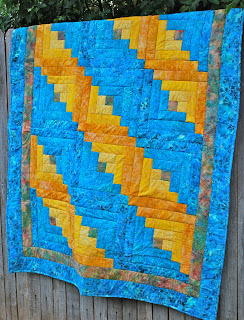 Your quilt is gorgeous, Lisa! Good work! 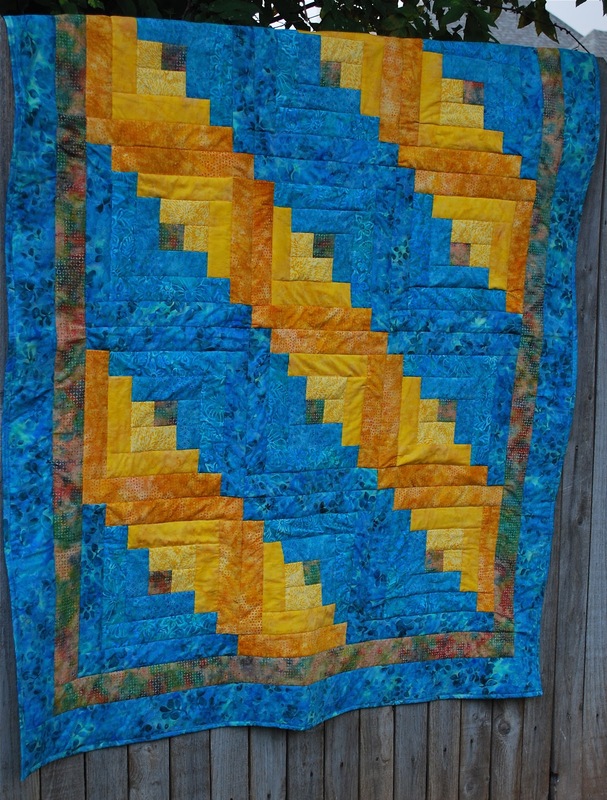 great job on a beautiful quilt! Great Job LIsa! 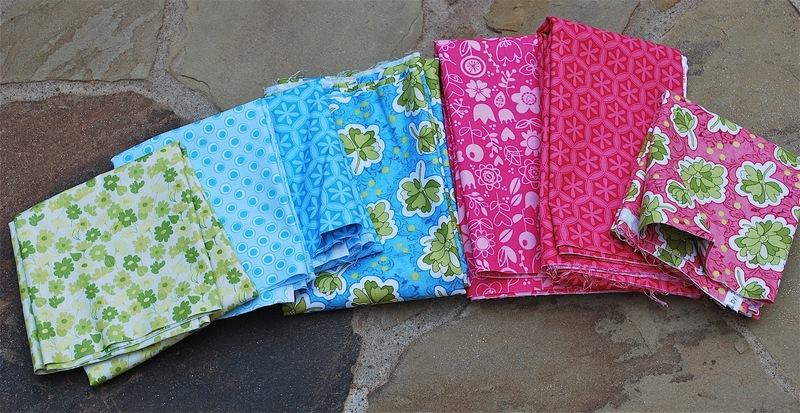 I have a beautiful quilt pattern and all the fabric for it. 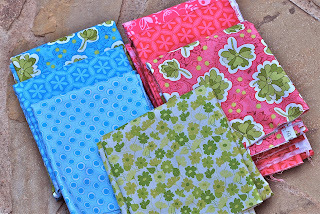 I never got past cutting all the pieces out and I was even in a quilting quild club! Really I just liked to go to see what the other girls were making. They were all so prolific... and like I said, I couldnt even get my pieces cut! needless to say, I dont go anymore. So awewoms for you! I give you tons of credit! and I look forward to seeing your next project. Back to School Journal Pages have arrived!